A unique band of volunteers are helping save lives in Melbourne’s Jewish community, reports Jackson Graham. When a medical emergency happens in Melbourne’s Jewish community, triple-0 is not necessarily the first number called. Instead, people often reach out to a group of 26 volunteer first responders who carry two-way radios wherever they go. The volunteers are an eclectic bunch: they include the owners of local kosher food businesses, office workers, doctors, even father and son builders. They respond in their own cars at any time of the day or night, including on the Sabbath when their religion would normally require all work to be put aside. “That’s the obligation we have,” said Michael Lewis, 57, who typically responds to 250 emergencies a year. 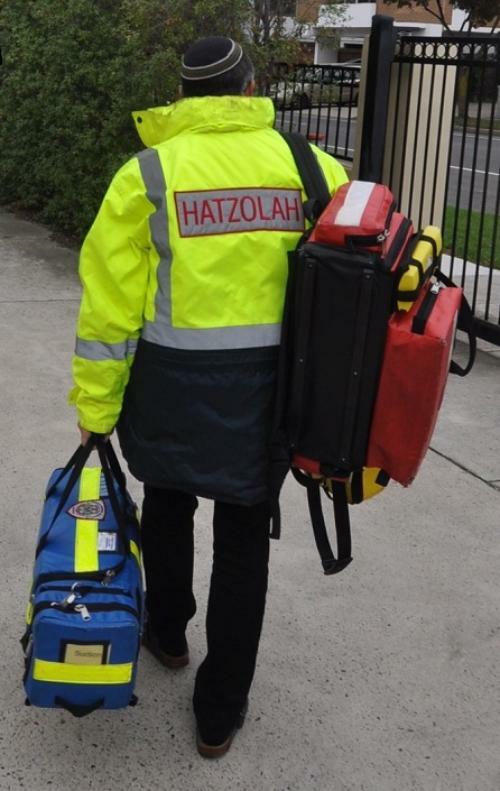 The volunteers are members of Chevra Hatzolah, a culturally-based medical emergency group servicing Jewish residents across the south-eastern suburbs. The service is funded entirely through the donations of Melbourne’s 40,000-strong Jewish population and is the only community first responder group operating in a metropolitan area of Victoria. “The community have become the first link in the chain of survival,” said Hatzolah’s operations manager, Danny Elbaum. 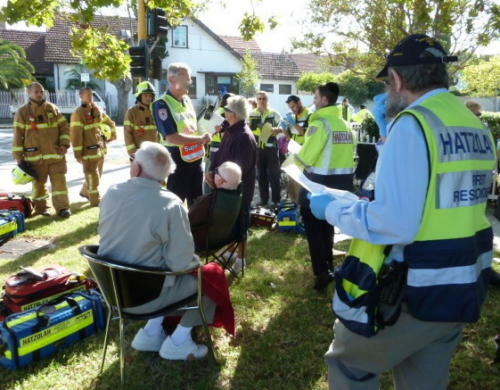 Trained by Ambulance Victoria, the volunteers work in partnership with the state’s emergency services with the aim of reaching any local medical emergency within four minutes. In 2014-2015, Ambulance Victoria’s average response time for code one emergencies in Melbourne was just over 10 minutes. But those behind Hatzolah are clear that they are not in competition with Ambulance Victoria and act only to supplement the service. 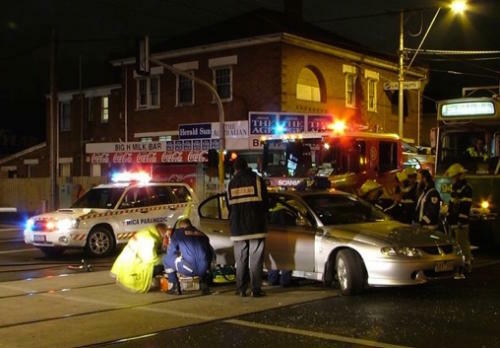 Professor George Braitberg, who is medical director of Hatzolah Melbourne and also the Director of Emergency Medicine at the Royal Melbourne Hospital, said the team of volunteers aimed to respond within the critical timeframe before the arrival of an ambulance. “It started as an organisation to answer the question: ‘What can we do before the ambulance arrives?’ ” he told The Citizen. Hatzolah, in fact, was founded in 1965 in a Jewish neighbourhood in Brooklyn, New York as a proactive emergency response service for the community and as a means of bridging cultural and language barriers. Thirty years later, Jewish community leaders decided that similar issues needed be addressed in Melbourne. They recognised that some community members, mostly the elderly, were not calling for an ambulance fast enough in life-threatening emergencies. Professor Braitberg said that for those community members less likely to call an ambulance, Hatzolah was fulfilling a role. The emergency response outfit was also established to improve CPR (cardiopulmonary resuscitation) skills more generally in the community. In fact, statistics for cardiac arrests where Hatzolah responded between 1996-2004 showed that bystander CPR was only occurring in 17 per cent of cases, compared to a study of the wider community in 2002-2003 which showed that bystander CPR factored in 48 per cent of cases. To perform their duty, Hatzolah first responders must push aside religious commandments, such as not driving or using a phone on the Sabbath, when a human life is at risk. The organisation is united by the Jewish teaching that saving a life is representative of saving an entire world. 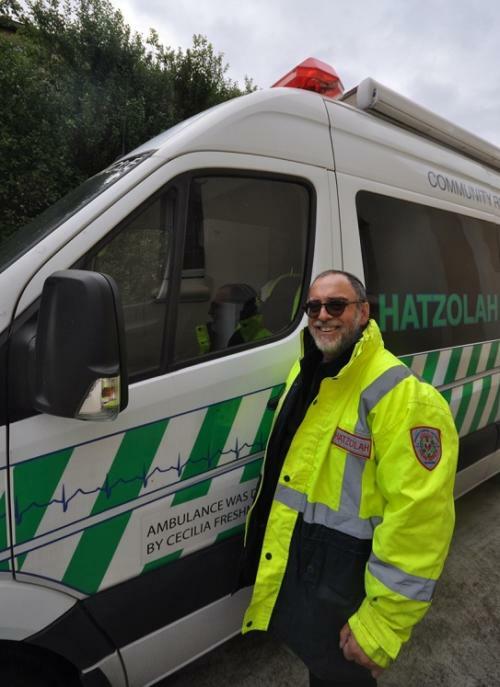 Forty-six-year-old Leon Landau, who has volunteered as a responder for 11 years, said Hatzolah improved the outcome for patients by approaching emergencies in a culturally sensitive manner. “You might have someone with chest pain at three in the afternoon on a Saturday and they’ll say ‘Oh, we can wait until seven or eight until Shabbat goes out until we call’. Mr Landau said the vast majority of calls he had responded to were from people he knew in the Jewish community. “To actually be able to make them comfortable until the ambulance arrives is a big benefit . . . even though it might not necessarily be threatening a life at the time,” he said. Professor Braitberg described the dedication of the volunteer responders, who are on call 24-hours a day, to be unmatched in secular communities. “Because it is a faith-based passion, that is very sustainable,” he said, while remaining aware that passion alone could not deliver an emergency service. “I’m often a voice of reason, so to speak, making sure that they do apply some logic that overarches the first response to go and help,” he added. Despite Hatzolah having been established to respond to life threatening emergencies, the service increasingly has performed basic medical assistance for the community, attending 1500 call-outs a year. “When they first started, everyone thought it was going to be heart attacks and strokes and the like, but the reality is that is not the case,” volunteer Michael Lewis said. Mr Lewis, who responds to an average of one cardiac arrest per year, said falls among the elderly and people feeling generally unwell were more common. The responders’ cars were always stocked with equipment such as a semi-automatic defibrillator and oxygen, and inhalant anaesthetics that administer temporary pain relief. A quirk of his volunteering means that Mr Lewis and his wife will always travel separately when attending social events together. “The chances are I’m going to be called out somewhere,” he explained. In the last 12 months, Hatzolah has altered its medical guidelines allowing responders to attend minor matters without also calling for an ambulance. “We didn’t want to necessarily be a liability in the sense that we were then diverting [the ambulance] to people who didn’t require it,” Professor Braitberg said. Diana Fixler, a mother of eight and part of a tightly-knit orthodox group known as the Adass community, said she had called Hatzolah on at least five occasions, mostly for cuts and abrasions her children had suffered. Her youngest children play with a toy ambulance with Hatzolah printed along the side. Mrs Fixler said she would call Hatzolah before triple zero during most medical emergencies.